The Cento collection by Roberto Coin showcases these captivating stud earrings. 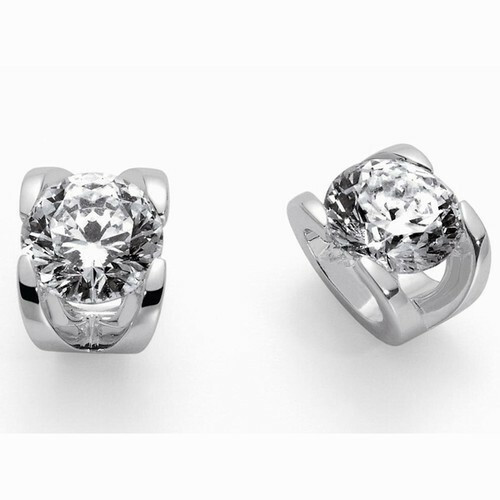 Each earring has one spectacular Cento diamond with 100 facets placed in a sleek 18kt white gold setting. The simple, yet elegant look of these Roberto Coin earrings will keep them in your ears all the time!